According to two recent reports, Iranian Christian converts currently living in Sweden are now at risk of deportation following decisions made by the Swedish Immigration Board rejecting their asylum applications. Due to harassment and persecution by the Islamic secret police, Majid and Hamid Khosravi, who both converted to Christianity approximately ten years ago, decided to leave the country of Iran and seek asylum in Sweden. Those on the Swedish Immigration Board were not convinced of the two young men's Christian faith and the risk deportation could pose on their lives. (In Iran, converting from Islam to any religion is considered apostasy and, therefore, punishable by death.) 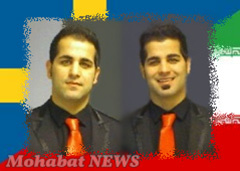 Contrary to the board's conclusion, the senior pastor of the Iranian church in Stockholm testifies that both of these young men had actively served on the worship team of the Persian-speaking church and were also contributors to Iranian Christian TV networks and websites. Another Christian convert, Parvaneh Sarabadi, also faces deportation to Iran. Shortly after converting from Islam to Christianity about two years ago, her husband, who became a believer about the same time, was murdered by a relative working for the government's Islamic regime. Forced to illegally leave the country due to severe harassment, sexual abuse and mental pressure, Parvaneh fled to Sweden where she, too, sought refuge. Despite confirmations from the church regarding her claim, and the support of several human rights advocacy groups, her application was turned down as well. To better understand the challenges facing Iranian believers, please go to the Iran Country Report. Pray that our Almighty God will mediate on behalf of these suffering believers who are desperately seeking asylum, especially considering that they are at risk of further threat, torture and persecution. May He abundantly bless our Christian brothers, Majid and Hamid, as well as our dear sister Parvaneh, for demonstrating such steadfast faith. Please intercede for their protection and greatly needed strength throughout this time of tribulation. Also ask that God will enlighten the minds of all those in positions of authority and political power in both of these countries so they will govern justly over all of God's people. 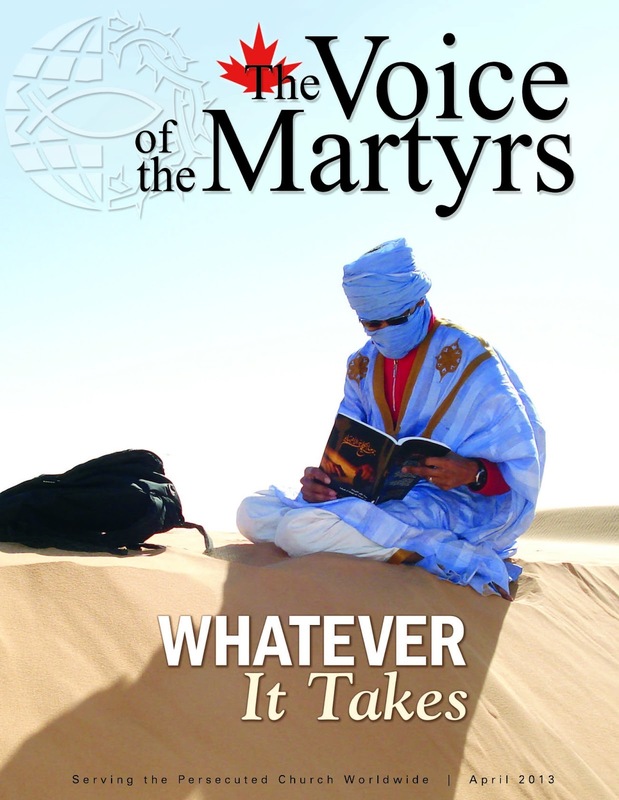 The April issue of The Voice of the Martyrs publication is now available! VOM speakers will be present at various events in Ontario, Alberta and Manitoba this April! Join us to hear stories and testimonies that inspire you in your walk with God. Sunday, April 14, 2013 10 a.m.
Sunday, April 14, 2013 10:30 a.m. & 6:30 p.m.
Saturday, April 20, 2013 6:30 p.m.
Sunday, April 28, 2013 8:30 a.m. & 10:00 a.m. The following is a tribute written by Dr. Hany for his friend, Ezzat Abdel-Malek, who passed away on March 10th. To read the original report on the arrest of these Christian businessmen, please click here. “This morning I received the news that my brother and friend Ezzat was killed in Libya. He was arrested, tortured and killed by the Libyan authority. His crime was sharing the Good News with others. He left his wife and two kids. Heroes cannot throw out dangers but they can throw out fears. We mustn't disgrace our lives in Christ by standing in fear of death. Death is no more than transforming us from mortal status to eternity and immortality. Death is not the end of their story but only the next chapter. Will our actions continue impacting the world after our departure? Will the poor, the brokenhearted, the captives, the blind and the bruised hear the name of Jesus and receive His salvation long after we're gone? Heroes who have lost their lives in battle will not be forgotten. Those of us who knew Ezzat best will tell stories of his bravery, his heroism and his sacrifice. Ezzat was steadfast throughout torturing and embraced death with a smile and peace. He is gone from this life but he will not be forgotten as he will live on within us. He has taken his place in heaven and will spend eternity with God and with those whose hearts are brave, good and full of love to God just like his own. Heroes like Ezzat have made us better people and, for that, we should be grateful. His memory will live on through us and it is our privilege and responsibility to ensure he is remembered forever for how honorably he lived, how bravely he broke through the powers of darkness and strongholds, and how honestly he loved his Saviour. We will carry the memory of these heroes of faith in our hearts forever; we will celebrate their lives and cherish the memories of their tremendous loyalty, unwavering convictions and deep true love for Jesus. For the powers of darkness in Libya, they might think that they got rid of one of God’s “light-bearers” but, as a matter of fact, we can now be more confident than ever that Libya is for Christ. May the peace of God, which passes all understanding keep his wife’s and kids’ hearts and minds through Christ Jesus. 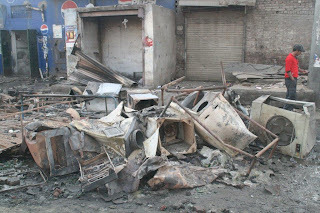 According to the most recent reports, hundreds of homes in a Christian neighbourhood of Lahore were set on fire by thousands of militant Muslims, during two days of violence that began during the evening of March 8th, and then continued again the following morning. The attacks were sparked by yet another incident involving blasphemy allegations against a local Christian. It all began when a young man by the name of Sawan Masih got involved in a petty dispute with a close Muslim friend. Following the incident, police arrested Sawan who was accused of blasphemy. When the allegations were broadcast from mosque loudspeakers, thousands of Muslims went on a rampage in the community, setting fire to approximately 200 homes. In addition, two churches, a chapel and many shops were vandalized; numerous Christians had been beaten; houses were looted; and hundreds of Bibles purposely burned. Fearing for their lives, nearly all the residents of this terror-stricken region fled, some on the advice of local police. For more on the challenges facing Christians in Pakistan, go to the Pakistan Country Report. Pray that in the aftermath of these violent attacks, the people of this Christian community will be granted the courage and hope needed to rebuild their lives and emerge even stronger in their faith. May those with political power and influence take a strong stand against such terrible acts of lawlessness, proactively doing more to protect all the innocent and vulnerable members of the community. Also pray that the charges made against Sawan will be dropped, and that his family and community will be protected from further incidents of violence. Pastor Shi Weihan, now also known by his English name, John Stone, was arrested on Nov. 29, 2007. As a bookstore owner, he sold books with the government's permission, but Pastor Shi also printed and freely distributed Bibles and other Christian books on the side. On June 10, 2009, he was sentenced to three years in prison on a charge of violating "the regulations of the state in printing illegal publications," according to the official indictment. We shared an update on Pastor Shi's story in our February newsletter. If you do not already receive this free monthly publication, you can sign up here or contact our office. To learn more about letter writing, click here. 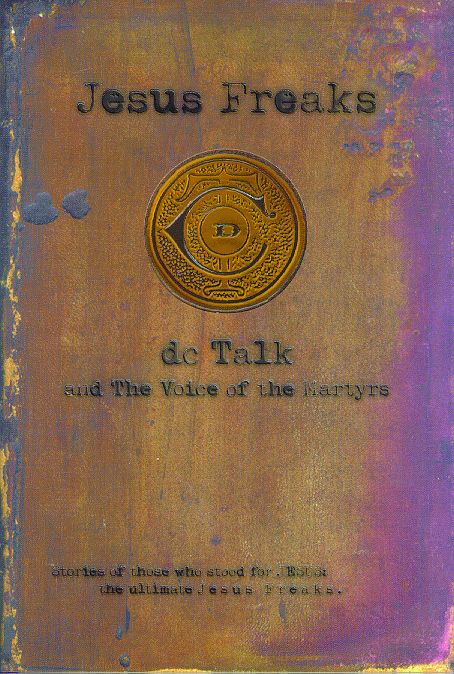 For more videos on the persecuted Church, please visit our multimedia site. To date, a total of 66 churches have been burnt down in Kachin state, the result of a conflict that reignited in June of 2011, according to a report provided by the Kachin Women's Association of Thailand. The figures in this report have been confirmed by the Kachin Baptist Convention based in Myitkyina. Julia Marip, spokesperson for the women's association, believes that the burning of churches by government forces is a matter related to religious persecution. Compounding the seriousness of this situation is the fact that 30 reported incidents of sexual assault, involving 64 women or girls (cases that include gang rapes), have been committed by Myanmar troops. "Half of those women raped were killed afterward," Julia Marip sadly announces. For an historical overview, go to the Burma Country Report. 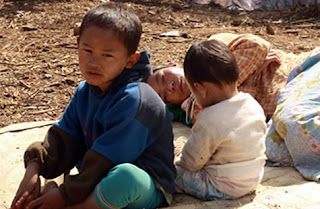 Ask the Lord to grant these suffering Christians in Burma greatly needed strength and protection. In the midst of these seemingly insurmountable trials and times of chaos, may they be encouraged of His unfailing love, faithfulness and ability to provide divine intervention, healing and restoration. Also pray that He will work mightily in the hearts and minds of the perpetrators, including all those in authority. “My name is Petrus Kristian. I am the oldest son of Pastor Ishak Kristian, who was burned to death a few months ago. It happened on October 10, 1996. At 11:30 a.m., about twenty people came and surrounded the church. My father, the pastor, tried calming those angry people, but they did not move away from the church. My father went into the house and prayed with six other people, including the rest of my family. “Thirty minutes later, about 200 people came on foot bringing many kinds of tools. They started smashing the church building and parsonage. Six of the people in the house, including my father, ran and hid in a room at the back of the house. The other person hid upstairs where he was safe. Some of those angry people saw them and told them to get out of the room. Since they did not leave, the people started burning the building. “One of those seven people, Didit (a church worker) ran through the fire and escaped. My father, mother, sister, cousin, and a church worked were trapped in the house and burned to death. “During the fire, the local police did not take any action, probably because they were afraid of the mob. I hurried to the church at 1:30 p.m. but by that time, all were gone. The army, whose military base was four kilometers from town, were at military training elsewhere and were not available. When they arrived at 5:00 p.m. to guard the area, everything was in ashes. “At first, I was really disappointed because I lost all of my beloved people. But this made me realize that material things around me are not eternal or worth loving. After the fire, most of our congregation become stronger in faith. Whatever we do, it is because Christ’s love controls us... Those who receive his new life will no longer live to please themselves. Instead, they will live to please Christ, who died and was raised for them. Egyptian Christian businessman Sherif Ramses manages a bookstore in Benghazi, the capital of the Cyrenaica province (in eastern Libya). On February 10th, he was arrested because the inventory of his store included Christian books which he made readily available to Arabic-speaking immigrants who either lived or worked in the city or the surrounding metropolitan area. While he has not yet been charged before a court, it’s reported that Sherif presently remains in detainment. 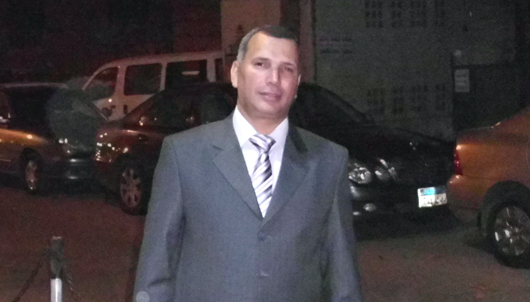 Other believers in Benghazi who had in some way associated with Sherif, whether through business connections or socially, have also been recently arrested. These associates were working in the area as language teachers or businessmen. Though formal charges have not been made against any of them to date, they are all accused of proselytizing Christianity. Pray that God will protect and preserve Sherif and his Christian friends during this difficult time while facing opposition and incarceration. May the amazing peace and presence of Jesus overshadow each of these suffering believers in a marvellous way, extending to their concerned family members who need His comfort as well. As admonished in the Scriptures, let us also remember to pray for those in authority, including the officials responsible for making these arrests. May God pour out His Holy Spirit on the entire nation of Libya so many will be brought to repentance and faith in Him! 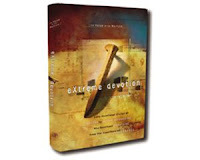 For other videos about the persecuted Church, please visit www.persecution.tv. In September of 2011, an incident took place at a Hindu shrine in Barkat's native village of Khairpur Tamewali. (This particular shrine happens to be located on two acres of land which has remained in Barkat's family for generations.) It all began when two frequent visitors to the shrine deliberately started an altercation with him, alleging that he had spoken badly against the Muslim prophet. Following a complaint filed by the two accusers, police arrested and charged Barkat on October 1st. Penalties for blasphemy offences can include life imprisonment or death. While awaiting trial, Barkat was incarcerated for almost 16 months. During that time, a total of 25 people submitted affidavits in Barkat's favour, defending his innocence. A further investigation revealed that the two shrine visitors had actually plotted to take over Barkat's land and, therefore, implicated him in a false case. Since the accusers were unable to produce any evidence to the contrary, the blasphemy charge was dismissed. "I didn't think God would rescue me from such an impossible situation," explains 56-year-old Barkat after hearing the judgement, "but my miraculous rescue has strengthened my faith in Him." Due to threats from those in his village, Barkat and his family will have to relocate. Even Judge Chaudhry Jamil Ahmad, who has taken an indefinite leave of absence since the trial, understands the dangers of challenging Pakistan's deep-rooted sensitivity about criticism of Islam. To learn more about what believers are facing in Pakistan, check the Pakistan Country Report. We can rejoice over the fact that justice has prevailed in both of the above mentioned cases. First, let's thank our Heavenly Father for answering prayer on behalf of Barkat and Rimsha by bringing vindication to them in the courts. Continue to pray not only for the protection of these believers and their families, but also for those who have dared enough to defend their cause and uphold justice amid opposition. May God's wisdom illuminate the minds of all who are representing Pakistan's judicial system, bringing about further positive change that will greatly impact all of its citizens. Fifteen-year-old Nadia Naira Masih is a committed Christian. Her normal practice when she lived at home was to pray and read her Bible early every morning. Although her parents haven’t seen her since February 2001, they assume that she continues this practice in the home of her captor. A Muslim named Maqsood Ahmed abducted Nadia. Maqsood’s mother, then a friend of Nadia’s family, helped lure Nadia out of her home, where she was forced into a car with Maqsood, two of his brothers, and a friend who were all armed with automatic weapons. She has not been seen since then. It is common for Pakistani police to look the other way when crimes are committed against Christians, especially when offered a bribe. This is allegedly the situation in Nadia’s kidnapping, and local police have been slow to pursue the case. 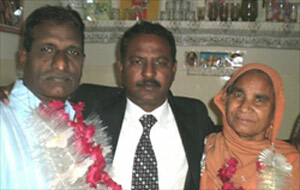 A certificate was delivered to Nadia’s home saying she had married Maqsood. The certificate explained, by virtue of her marriage, Nadia had officially converted from her Christian faith to Islam. Nadia is only a teenager, however. Facing anger and loss, Nadia’s parents still don’t say anything against Maqsood. Instead, they trust that God is powerful enough to do what is needed to bring Nadia back. Trust is something someone can never fully understand until it is all someone has. Nadia’s parents know what it is to trust. They do not necessarily trust that Nadia will indeed one day return. Instead, they have full confidence that God is able to bring her back safely. The difference is enormous. If they were to trust in a particular outcome, their trust could be shaken if it did not come to pass. But they are choosing to place their trust in God’s unfailing power and ability to bring it to pass. If God in His wisdom decides not to permit her return, they will trust Him all the more. Do you trust God only so far, depending on the outcome? Or do you trust him despite any outcome? 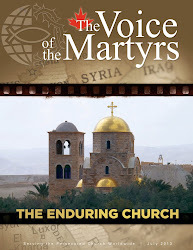 The March issue of The Voice of the Martyrs publication is now available! Welcoming New Beginnings: VOM officially introduces its newly appointed Chief Executive Officer who, in turn, welcomes the opportunity to come alongside those who are “caught in the perils of persecution.” Through this insightful editorial, you will receive a glimpse of a reality that goes far beyond the temporal physical and spiritual realms; a reality that illuminates renewed hope, reconciliation, and the miracle of re-creation. Nigeria’s Young Victims of Persecution: This is much more than an account of the brutal and ruthless attacks made against hundreds of children – victims in the war against Christianity – but one that highlights the conquering power of God’s redemptive love and healing. Your heart will be touched by the inspiring testimonies of these rescued young lives and their unwavering commitment to Christ. When Innocent Children Become Targets: How do loving, dedicated parents respond when their children are needlessly targeted? Let us introduce you to some very courageous parents and their children who have been the recipients of VOM’s ministry which continues to provide persecuted families around the globe greatly needed help and hope. Equipped and Ready for Action! Offering a helping hand means so much more than providing a temporary fix, but rather offering long-term solutions. You will discover how training in practical skills and literacy, combined with seminars that encourage spiritual growth, are equipping believers in central Asia to overcome challenges in the present while also preparing them for the future. Discovery of Jesus...Accidental or Providential? Discover how a simple letter-writing hobby led a high school student to an unexpected introduction of the Bible and, eventually, a personal encounter orchestrated by an amazing Saviour whose love knows no limits. In fact, His transforming love is now being conveyed not only by correspondence but over the airwaves through radio broadcasting! Sleep in Heavenly Peace: Imagine what it would be like to live in a cattle barn surrounded by hay, cattle troughs – and 26 other families. Yet for these persecuted Christians in Mexico, whose homes have either been damaged or destroyed by those of their community, this is the place they now call “home.” To them, their temporal situation is overshadowed by the fact that God will shelter them in His heavenly home for all eternity.